Members of a South Australian Aboriginal community say they are “overwhelmed and excited” after the Federal Court yesterday granted them native title rights over around 40,000 square kilometres in the state’s far-north east. The signing of the agreement in Innamincka yesterday. 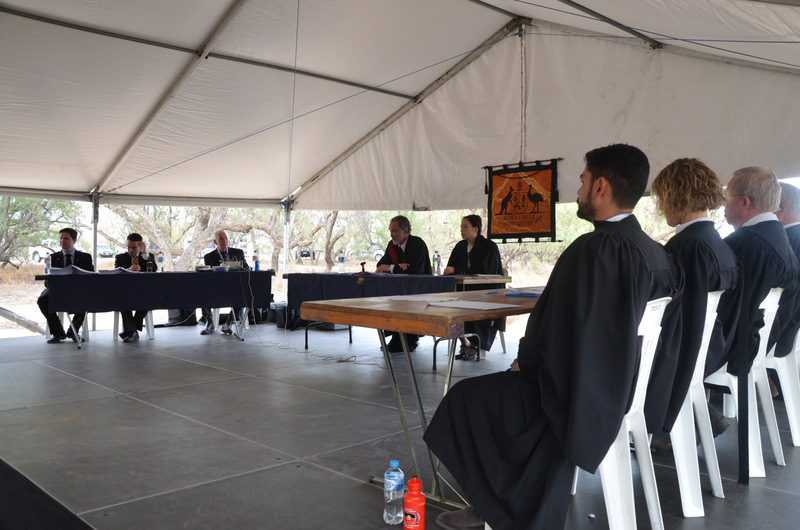 At a special “bush hearing” at Cullyamurra Waterhole yesterday, the court settled the claim, which dates back almost two decades, acknowledging the Yandruwandha Yawarrawarrka People as the native title holders of their traditional lands. Community spokesperson Theresa Bottrell said the decision meant a great deal to her family. “Although we always knew we had connection with this country, we just had to be recognised by the white man’s laws, so to speak,” she said. Aboriginal Affairs Minister Kyam Maher said the decision was “an acknowledgement of an important part of our nation’s history”, taking into account “various interests in the area, including conservation, pastoral and oil and gas activities”. “Agreements have been put in place to ensure the co-existence of these rights and to provide compensation,” he said. Bottrell said the decision would strengthen the community’s relationship with other stakeholders. “It means that we can grow relationships, and hopefully for the better,” she said. The claim covers sites relevant to the ill-fated Burke and Wills expedition in the 1860s. Members of the Yandruwandha Yawarrawarrka tribe came to the aid of those who survived, providing food and shelter. The community’s lawyer Michael Pagsanjan said that the resolution of the claim is “testament to the bravery and resilience of the Yandruwandha Yawarrawarrka People”. “Native title claims are notoriously difficult to prove,” he said.